Each year the West End Brewery have a display of Christmas lights on the banks of the river Torrens. They've been doing this as far back as I can remember and I try and visit the lights each and every year, although lately I've been missing it. So we walked down tonight and took some happy snaps to share. These are two of the better photos. Enjoy! 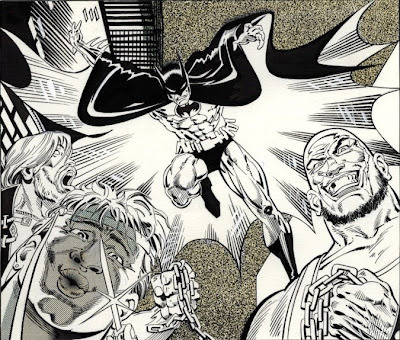 He’s drawn almost every icon that exists in comic books, from Superman to Batman to Spider-Man to Captain America, and now Norm Breyfogle is tackling yet another cultural icon: Archie. Archie, Jughead, Moose, Reggie, Betty and Veronica and company have seen a lot of talented artists drawing their adventures since their debut in Pep Comics in 1941. 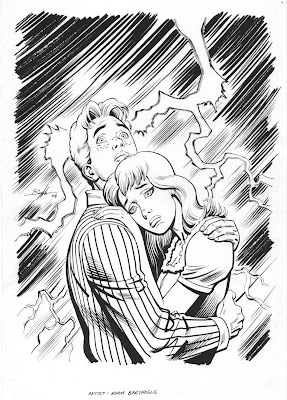 Artists the calibre of Dan DeCarlo, Stan Goldberg, Harry Lucey, Dan Parent, Al Hartley and Henry Scarepelli through to Gene Colan, Joe Staton, Bob Smith, Chic Stone, Al Milgrom and Mike Esposito, have all left their mark on Archie but rarely has there been a more "realistic" artist's style depicting Riverdale. Over on Facebook I've been uploading a lot of photos from our various trips and touching on some of the more unusual places we've visited. 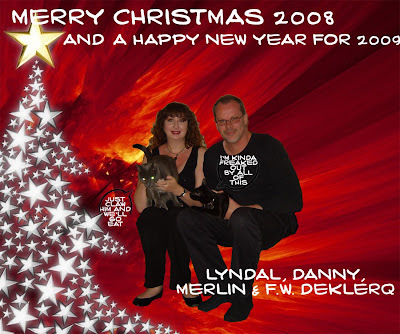 I've also been looking at some of the haunted places we've gone into and through, so as not everyone is added to our friends list I thought I'd copy/paste some of the commentary and photos to here for all to see. 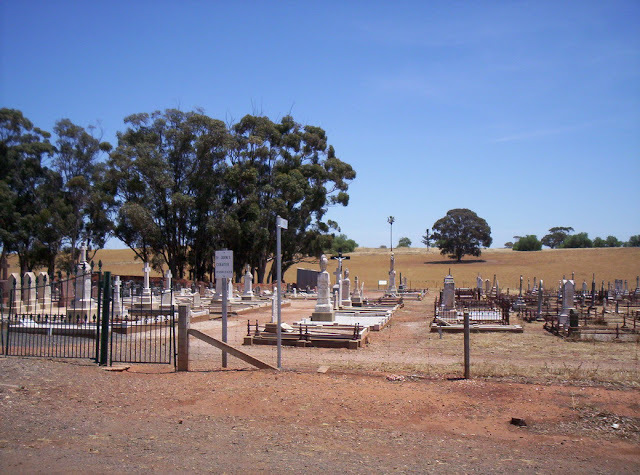 First up, one of the haunted places we've attended, Kapunda Cemetery. The Kapunda cemetery has a strong history as being fairly haunted and it didn't disappoint us in the slightest. The cemetery lies in the shadows of the ruins of the Kapunda Reformatory. The Reformatory was built in the 1800s and was used to house children who broke the law, no matter how minor the law might have been. It was also used to house orphans, the intellectually disabled and other otherwise difficult members of society, generally people considered to be insane or just misfits. Instead of ADD people back then had the Reformatory. At a NY show I brought my trade of "The Greatest Battles of the Avengers" (which included the aforementioned Avengers Annual#10) to Joe Rubenstein to sign for his work on the reprinted within Avengers Annual#7. He noticed the Michael Golden drawn tale and said that he ghosted a page in it for Armando Gil and asked me if I could find it. I took it back to my table and after perusing the story's inked art styles I found it, the page you pointed out in your column. He asked me how I knew and I told him that I recognized the way he inked small feathering strokes. He acknowledged that he doesn't ink those that way anymore, interestingly enough, and proceeded to sign that page in my trade. No prize for my win but I was simply happy to have guessed correctly. Top 5 Out Of Print Comics? I Can Give You One! Miracleman by Alan Moore, Neil Gaiman, Mark Buckingham, Garry Leach, Alan Davis and a host of others who's names I've just missed. Of that list all are reprint possibilities with the one exception - Miracleman. Sadly that comic, as great as it is (and it is great) just isn't going to be seeing the light of day until someone with the patience of Job is able to sort out the copyright issues (or mess really) surrounding the character. Sad really as it's some stunning work and not easily found in the marketplace.